Where are the WNW kits guys? When is somebody going to break this virgin?? Id love to have a go at one, but im afraid of buying a $80 kit and making a right royal knob of it. Apparently the Fokker DVII is a good one to start with, because it has minimal rigging. Are they available from anywhere in SA? I think you would need to order it Steve, i sure don't know of anyone locally stocking them. They are very tempting but i must admit for around R1000 all up, i would rather get myself a couple sets of Fruils. Anyone going anywhere near NZ in the forseeable future? 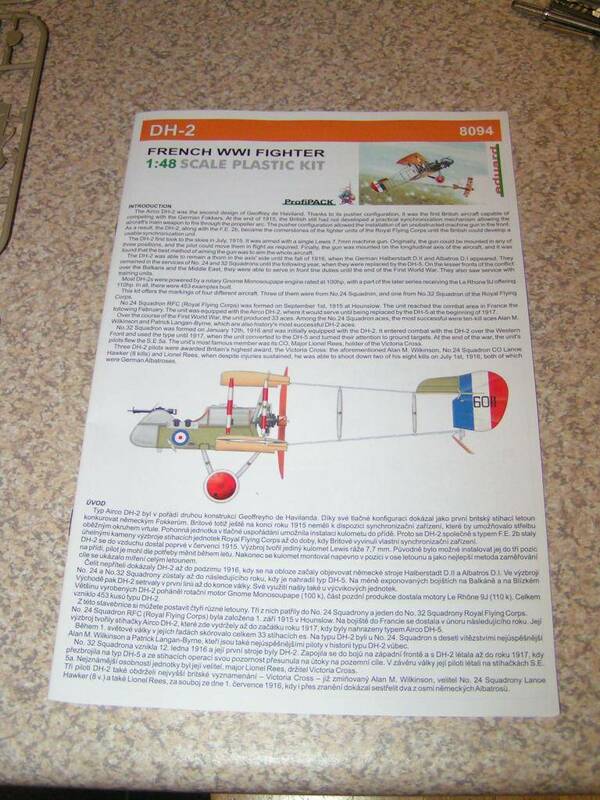 I'm tempted to do the 1:48 DH2 by Eduard. 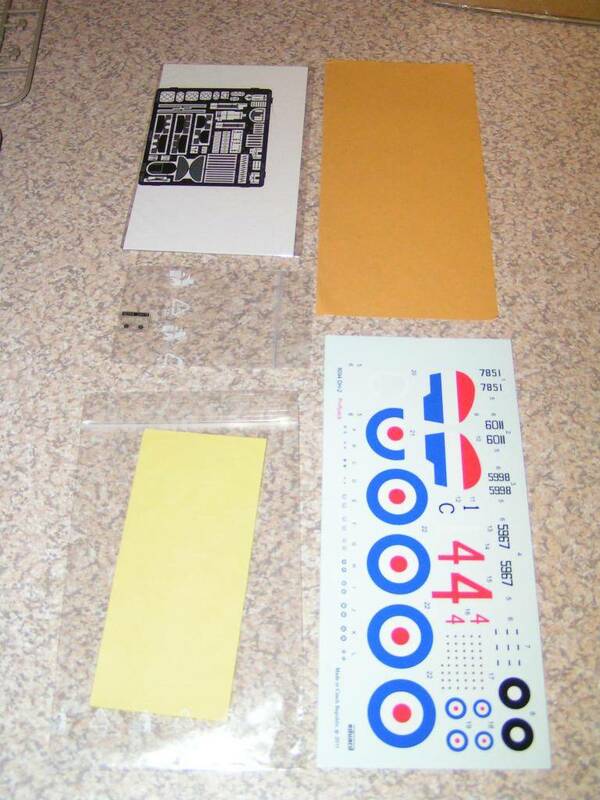 I think I'll sneek that into my Xmas sock along with the 1:48 Super Valkyrie by Hasegawa. Bigger the bang, the better!! Yeah babe yeah!!!! We need to de-virginise this sucker. Firstly, it has wings, too many wings, and secondly, those kits scare me. 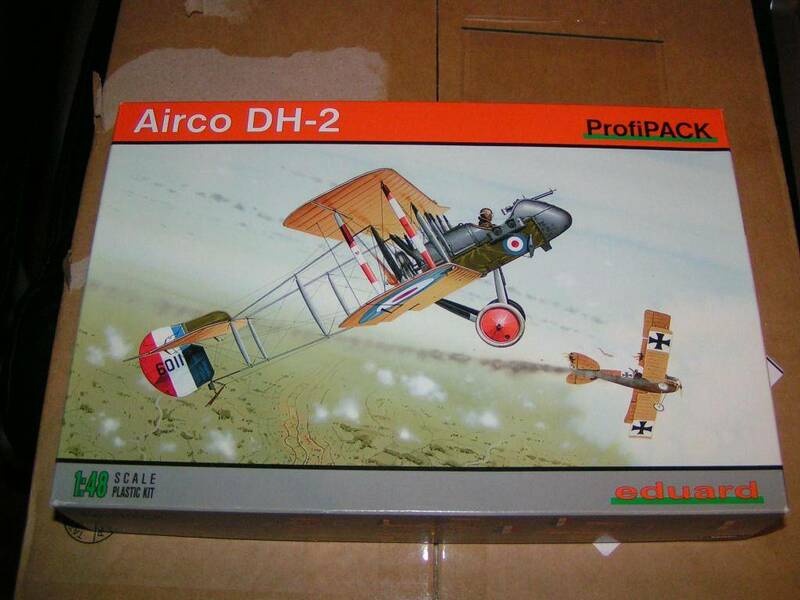 I've finally decided to buy it, the Eduard AirCo DH2!! That is almost interesting enough for me to re-think my "WWII ONLY" outlook. That looks like such a fun build - good purchase Snowy looking forward to seeing this one come together. Ken, you'll be pleasantly surprised to know that the rigging is apparantly all PE. I'll post pics of the sprues this weekend. Eduard also do one of the Albatros D.III amongst others in the same line (profilpack). Probably the DH.2, Albatros, Sopwith Camel & Spad are my faves. Well, I may have over stated the PE rigging, but it is still an impressive kit for its size. All of that in a 1/48 WWI biplane!! Subject: Re: Where are the WNW kits guys?